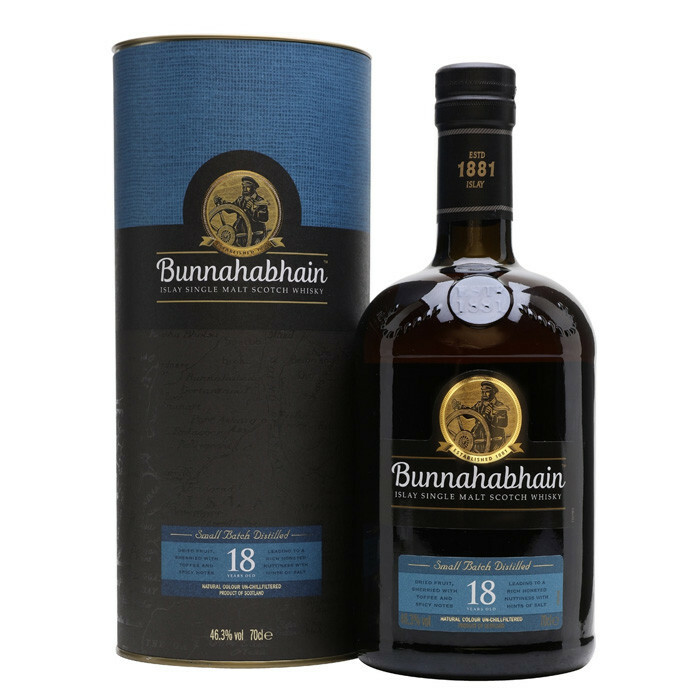 In what will be seen as a positive move to whisky connoisseurs, Bunnahabhain have decided to bottle the 18 year old without chill-filtration and without colouring. Nose: Fragrant with notes of dried fruit, rich honeyed nuts, toffee and slight hints of spice. Palate: Notes of mellow sherried nuts, dried fruit and rich oak, with toffee and a slight tang of salt from its maturation of 18 yrs. at the coast. Finish: A dry fruit finish with a hint of spice and salt.